“A century ago engineers in Chicago reversed the flow of the city’s main river to redirect billions of gallons of water away from nearby Lake Michigan. Today in Chicago, my company is working to reverse a similarly powerful trend: the rising cost of credit card acceptance for businesses. 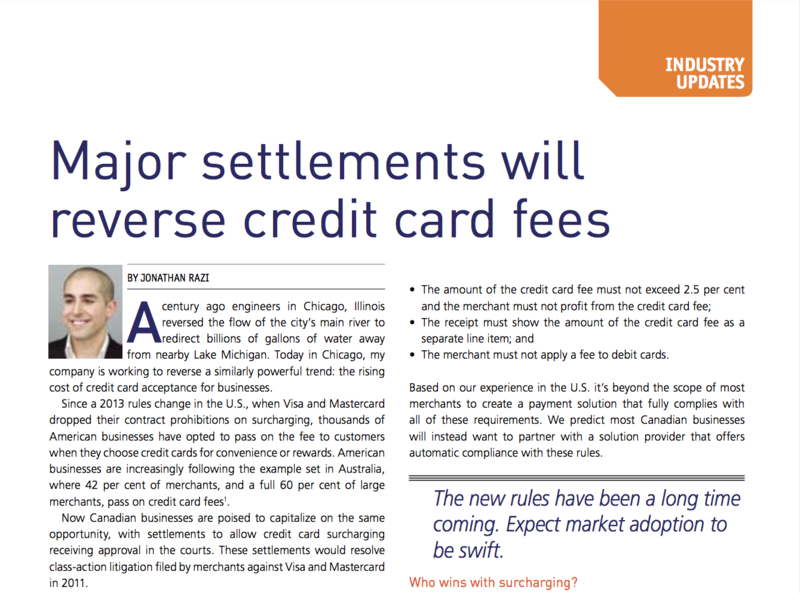 Since a 2013 rules change in the U.S., when Visa and Mastercard dropped their contract prohibitions on surcharging, thousands of American businesses have opted to pass on the fee to customers when they choose credit cards for convenience or rewards. American businesses are increasingly following the example set in Australia, where 42 percent of merchants, and a full 60 percent of large merchants, pass on credit card fees.